How can social entrepreneurship empower young people in North Africa, and what role can international organisations play? In this guest post, Roland Singer-Kingsmith, program manager of the Cisco Entrepreneur Institute in Cairo, offers a few ideas. One doesn’t have to spend much time in Egypt to recognise the nightmarish quality of its job market. When your taxi driver has a PhD in psychology and your thirty-five-year-old office janitor is a lawyer who has never professionally practiced law, you know something has gone seriously awry. To put it simply: In Egypt, there are depressingly large numbers of people either out of work, or not practicing the profession for which they trained. The result is widespread economic inertia and a social hierarchy so rigid that millions of Egyptians are trapped under the poverty line. The official statistics offer little comfort. The 10.3 percent total unemployment rate in Egypt is growing steadily year on year, and the percentage of young people without jobs has skyrocketed to a staggering 23.7 percent. When one-third of the Arab World’s total population is under 15 years old, unemployment represents not only a major issue for today but signals potential catastrophe for tomorrow. You might be surprised to know that Egypt has a long established system of public vocational education and training (VET) in three different technical schools: Agriculture, Industry and Commerce. At the secondary school level, VET caters to about 2 million pupils, which is approximately double the number of young people studying in the general academic stream of education at any one time. Like vocational schools all over the world, Egyptian vocational education and training is designed with the express aim of preparing pupils for the workforce by equipping them with the necessary practical skills to excel in their chosen professional environment. Seeing as there’s no shortage of worker supply coming from secondary VET, then we must ask, why are less than one-fifth of graduates in some kind of employment? Lack of educational funding aside, there is also a total mismatch between the skills being taught in VET schools and the real-time needs of the industries. Assuming that someone, ideally the newly-elected government, can update the curricula in secondary schools and start producing a workforce skilled in relevant fields, the question of primary importance facing anyone interested in labour reform then becomes: How can we get people, especially young people, into work? The only way to protect the 20 million or so new workers joining the Egyptian labour force in the next five years is to empower the youth so that they become both the employees and the employers of the future. In the wake of the mass public demands for social justice since January 25, 2011, there is ample motivation among Egypt’s youth to establish a brand new socio-economic framework for their country. In my opinion, therefore, the time is ripe to support those with small- to medium-sized business ambitions. 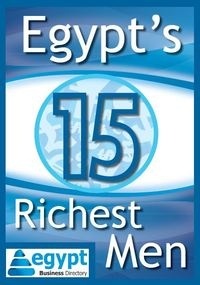 If we can successfully design an ecosystem for entrepreneurs that comprises a strong knowledge and skills base, a network of angel investors and an elder generation of supportive mentors and intertwine it with a strong social conscience and sense of civil responsibility, then Egypt will have what it takes to improve the living standards of millions of people, from the bottom up. The new Cisco Entrepreneur Institute in Cairo, of which I am the Program Manager, will open in a few months time. Advanced Technology Services FZ LLC, an IT consultancy company and my formal employer, was approached by Cisco to manage the local provision of entrepreneurial resources in Egypt. We will offer courses at a beginner’s level on how to start a business, and at an intermediate level on how to develop a small enterprise into a medium-sized operation. There will be an emphasis on integrating the course material with technology so that students are well equipped to trade and offer services in the twenty-first century. Harnessing the true power of technology is something of an Egyptian trademark, seeing as the youth’s engagement with Facebook and Twitter was, in no small part, responsible for the toppling of a government. I have no doubt that this generation of Egyptians will lead the way in online business development, as well. Needless to say, we cannot do this alone. I hope that the institute itself will be well ensconced in the local business community and surrounded by a supportive network of NGOs, private businesses and government authorities, as well as intimately connected with Cisco’s online community of international entrepreneurs. Furthermore, we are hoping to cooperate with international organisations, like the British Council, to improve dialogue and skill-sharing between Egyptian entrepreneurs and their counterparts around the world. There is a particular need for British organisations to be involved, seeing as the UK is the largest foreign investor in Egypt, with cumulative investments of approximately £10 billion, including the likes of Vodafone, Shell, BP, BG, Invensys and GSK. The national unemployment crisis has left many hardly able to afford being alive. In some parts of the Nile Delta for example, earning ten Egyptian pounds ($1.65) a day would be considered a good wage. If a kilo of beef shoulder meat from the local butcher costs 50 Egyptian pounds, the best that a relatively well-off family in the Delta could expect is to eat meat once or twice a month. For those who are lucky enough to be in the middle class, their employment prospects are not much better. In my time teaching English at an NGO in northeast Cairo, I’ve learned that some of the students in my class have been waiting for six years since graduation to get a job. Despite their brightness, enthusiasm and inventiveness, they have been miserably failed by a broken education-to-employment chain. But, if they had the power to direct economic demand and provide qualified workers for the labour market, I believe passionately that they would be successful. It is only when young men and women are given the chance to take control of their economic situations that they can feasibly change the dynamic of their social environment. Education and entrepreneurship are the twin pillars of Egypt’s future.